Transform your students into smart, savvy consumers of the media. 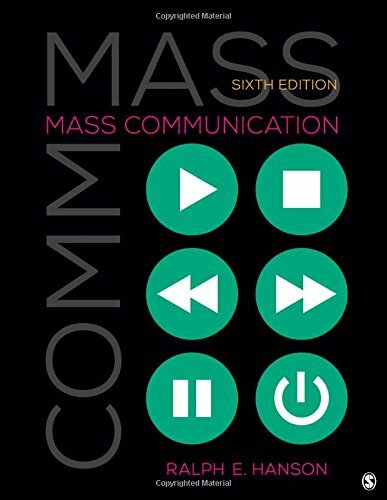 Mass Communication: Living in a Media World (Ralph E. Hanson) provides students with comprehensive yet concise coverage of all aspects of mass media, along with insightful analysis, robust pedagogy, and fun, conversational writing. In every chapter of this bestselling text, students will explore the latest developments and current events that are rapidly changing the media landscape. This newly revised Sixth Edition is packed with contemporary examples, engaging infographics, and compelling stories about the ways mass media shape our lives. From start to finish, students will learn the media literacy principles and critical thinking skills they need to become savvy media consumers.